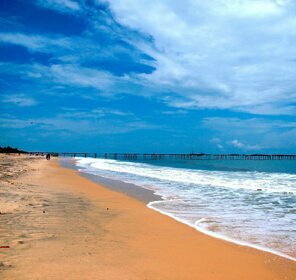 Situated on the broad expanse of the Malabar coastline, Bekal beach is popular for its backwaters, forts and scenic beauty. 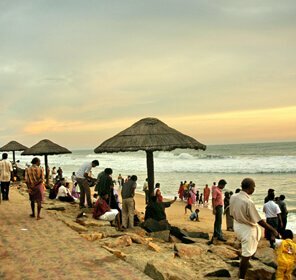 It's a very small region on the shores of Arabian Sea, which is known for its unparalleled charm that holds various attractions and offers a perfect traditional Keralite hospitality to its visitors. 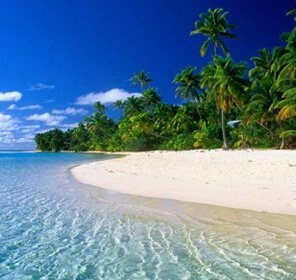 A beautiful view of the sun, sand, sea, and swaying palm trees adjoining the beach add more charm to the outstanding landscape. 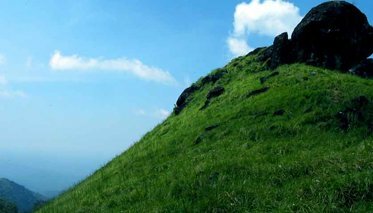 Bekal is a perfect tourist spot, popular for its scenic beauty and this grabs the attention of visitors from different places. It's a fascinating place to visit during the vacation as you can take the pleasure of nature and rejuvenate yourself. A set of 45 caves known as the Nityanandashram caves, forts, temples, mosques, the aqua park, etc., are its major attractions. 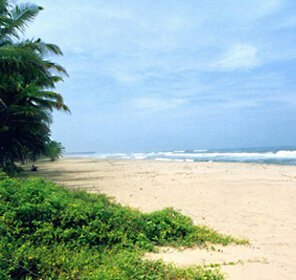 Apart from all such attractions and grand fort, Bekal is also far-famed for its striking beaches. During your visit to Bekal, don't miss the famous drink 'Payasam', offered by the Bekal people. Visiting this place in the month of January and March will bring lots of fun and enjoyment as you'll get a glance of 'Theyyam Performance', a ritual dance which is considered as a big affair in the towns of Northern Kerala. 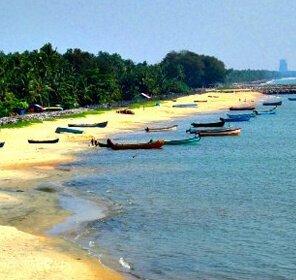 So, do plan for a Bekal trip, you'll have a wonderful experience exploring this beach with exciting attractions all around. 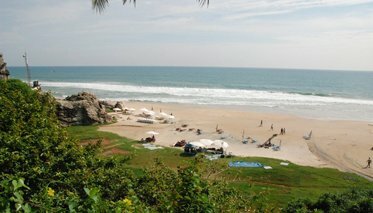 There are large numbers of hotels and resorts around the Bekal. Right from luxurious villas to budget hotels, all kind of lodgings are available as per your needs and requirements. Some hotels also have spa and fitness centre where you can take the pleasure of body massage and spa. 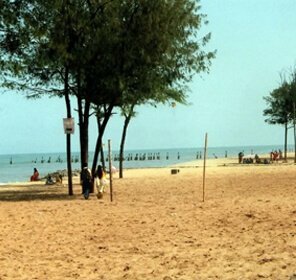 Bekal beach remains enlightened during evening hours so that tourists can spend some time at the seashore after dusk. 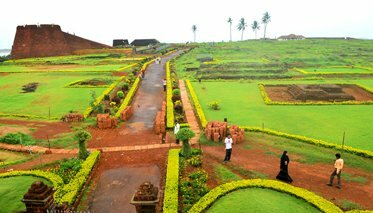 There is a fascinating walkway made for the visitors to view the scenic beauty of the coastal line and relish the panoramic view of the Bekal Fort. 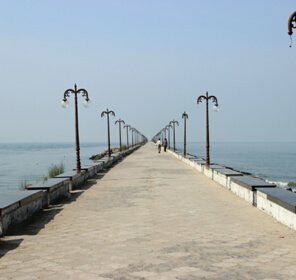 There are resting facilities like Multi- sheds and Eru madams where visitors can take rest and savor the sea breeze. A short ride in a Kettuvallam is also a wonderful idea, as it's a traditional houseboat of Kerala that offer unrivaled experience of the backwaters. While discovering the clumps of green, past fleets of ducks and the little thatched houses, you'll really feel the tranquility all around. 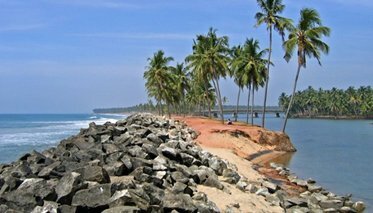 Bekal is among the beautiful beach destinations in Kerala and it's a home to one of the biggest and well maintained forts in Kerala. 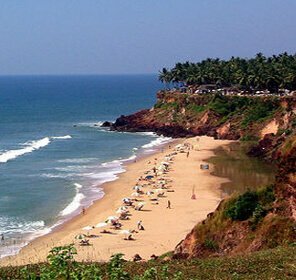 Following are the list of some major tourist attractions in Bekal, described briefly to let you know how stunning this place is and what all you can explore here during your visit. Situated on a hillock 323m above sea level and approx. 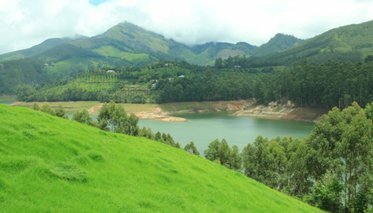 18 km towards the east of Mangalpady in Dharmathadka, this place is perfect for one day trip as the pleasant cool atmosphere makes it an ideal picnic spot. 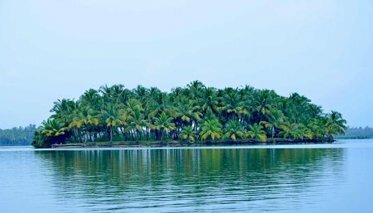 One of the most enchanting backwater stretches of Kerala, Valiyaparamba is just 19 km away from Bekal. There are four rivers giving shape to this network and idly meander through the land, between paddy fields and palm grooves. Reveal more forms of serenity at Chandragiri River that flows beside the popular Chandragiri fort. You can also enjoy the boat trips over here and view nearby islands. 5 km away from the Bekal fort, this beach is vast and secluded. Remote and cloistered, this enchanting beach is a major tourist attraction. Located 3 km from Manjeswaram, it's another major attraction where you'll find a sea that is formed like a swimming pool. Located at the distance of 10 km from Bekal, this fort is situated on the hill (183m) and above the sea level. The southern part of the hill is surrounded by strong walls and the main building, which is extremely tremendous in appearance. This location offers a fascinating view of the Chandragiri River and the Arabian Sea from the fort. It's a view point to look at the sunset from the ancient Kizhur State Temple at Chandragiri that rejoices the annual festival known as Pattu Utsavam. 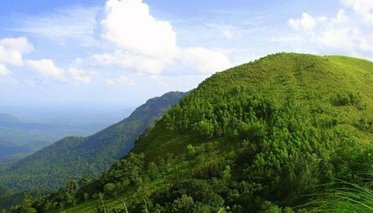 Just 58 km away from Bekal is Ranipuram, a striking landscape that is famous for its monsoon forests, grasslands and Shola woods. It's just not a natural haven, but also an adventure hotspot. There are trekking trails shrouded under the evergreen canopy that are usually discovered by nature enthusiasts. The varied vegetation and the wild elephants strolling towards the mountains offer a lifetime experience to wildlife enthusiasts. 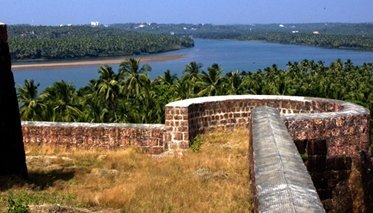 Located in the state of Kerala, this fort covers more than 40 acres. One of the best features of the Bekal Fort is the tunnels captivating towards the south and the tanks, holding a flight of steps. 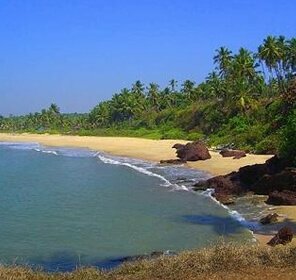 Situated 25 km away towards the south of Bekal, this beach is a synonym of serenity. It's an ideal spot for long walks. 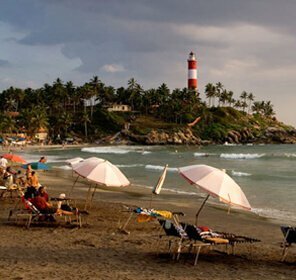 September to March is the best time to visit Bekal beach, So, leave back your busy lifestyle for some time and add little flavor into your life with striking Bekal holiday trip. 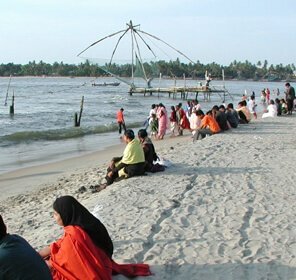 Tour My India offers exciting deals and discount on kerala holiday packages. 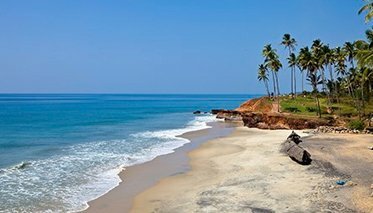 Travel to Bekal and its major attractions by booking Bekal tour packages at Tour My India and relish the treat of discovering an enchanting beach in Kerala. The nearest airport is at Manglore (50 km), which is connected with all major cities of India. The nearest railhead is at Kasaragod (16 km), which is connected with all cities of India. 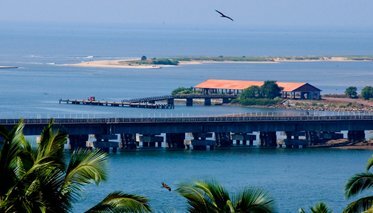 It is Located on the Kozhikode-Mangalore–Mumbai route. 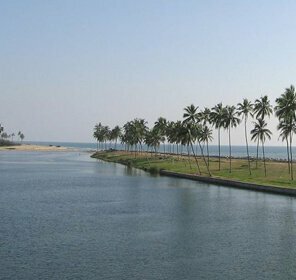 Kasargod is well connected by road to the rest of Kerala. There are regular buses available from many cities Mangalore, Kochi, Kannur, Thrissur, etc.